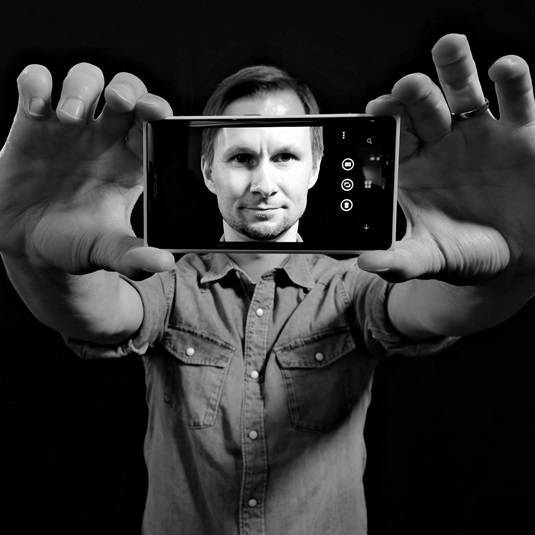 Microsoft's Stephen Elop is no doubt busy digesting the mobile remains of Nokia, but he has lost a key engineer – Lumia photography lead Ari Partinen – to the clutches of Cupertino – Apple, in other words. Partinen, who later confirmed that Apple is indeed his new paymaster, started at Nokia working on the optics for the Finnish firm's N8 model. He was one of the key developers of the PureView 808, a Symbian mobile with a large 41 megapixel camera sensor and a dedicated GPU that was the first handset to address what has become a key selling point for Nokia hardware: superb photography. This focus on cameras as a differentiator has been developed by Partinen and others, and Nokia has gone to incredible lengths to develop thin cameras and the software to support them that have delighted the photography crowd. The current Lumia 1020 is the 808's latest descendant and is rated by El Reg as the best smartphone snapper on the market. Partinen's specialty has been tuning image quality on Nokia's handsets, and Apple will be hoping that he will bring some of that imaging magic to its devices. Cameras on Cupertino's iPhones and iPads aren't bad within the standards of the industry, but making them "insanely great" would certainly fit in with Apple's core strategy. Given the timing of the job shift, it's unlikely Partinen will have much impact on the latest iPhone, expected out in early Autumn. But given the size of the sensors he's used to working with, it could be that the iPad will be the focus of his attention at first. Go to pretty much any large event and you'll find people recording it – mostly with mobile phones, but more than a few swinging fondleslabs into the air to preserve the action for posterity.